Transforming Healthcare with Machine Learning and AI | Potentia Analytics Inc.
Today, every industry is embracing technology to drive growth, but the healthcare sector is ripe for a radical shift. Currently, the healthcare industry is undergoing a rush of transformation, thanks to the path-breaking innovation of Machine Learning and Artificial Intelligence (AI). Surprisingly the evolution of AI, which raises the threshold of a human’s cognitive functions, can analyze and remedy several healthcare challenges. Gone are the days when experience was the most basic formula to run a business effectively. With information-driven insights being easily accessible, it is all about predicting the future and deciding the best course of action accordingly. The healthcare sector is no exception. This industry has been traditionally slow to embrace new technology resulting in increased healthcare costs. “The healthcare sector is booming with a massive flow of operational and clinical data,” said CEO and Co-founder of Potentia Analytics Dr. Sean Bozorgzad, MD. “and we intend to leverage the data to optimize staffing by reducing the demand-capacity imbalance which is common place in healthcare operations today.” Heading into such a situation, gaining insight out of the large unstructured data is the key to drive operational efficiency and reduce costs. 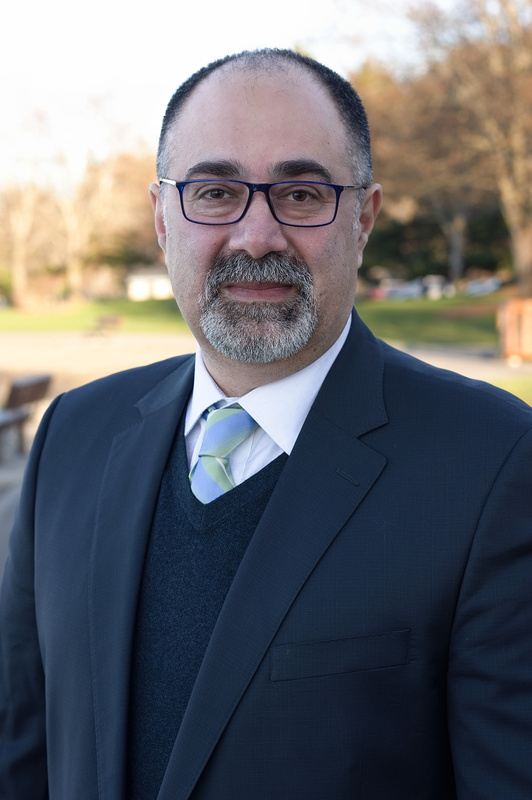 It did not take long for Dr. Shahram Rahimi, a data scientist, and Dr. Sean Bozorgzad, an emergency medicine physician to realize the need to leverage cutting-edge technology like AI, Machine Learning and Predictive Analytics to improve operational efficiencies and reduce costs in hospitals. In 2013, they started their journey to create a data analytics and healthcare information technology company that aims to improve patient and provider satisfaction, reduce lost revenue and optimize lean processes for healthcare organizations. Although their solutions can be translated across multiple industries, resources such as independently owned care facilities, healthcare systems, large consulting houses and staffing organizations are at the core of their portfolio. Patient care is extremely human resource-intensive. Without enough providers, nurses and other allied health professionals, healthcare facilities risk failing their patients. Experts are anticipating that within the next 20 years, there will be a deficiency of 50,000 to 100,000 medical specialists. According to a report published by Mercer, a global healthcare staffing consultancy, the U.S. will face an incredible amount of shortage of skilled workers and need to hire 2.3 million new healthcare professionals by 2025. Heading into such a situation, using the available work force with optimum efficiency is vital to the success of healthcare organizations. Cost optimization has historically been challenging for healthcare organizations due to a lack of granular data. With recent availability, healthcare is now able to move to its second challenge of dealing with variability. As the variability is reduced in different parts of the healthcare operation, the simulation capabilities increase – and with accurate simulation comes the opportunity to optimize. That is the strategy that is being followed by Potentia Analytics. Their scheduling platform, Symphony, and its intuitive open shift management tool harness AI and machine learning to provide an intuitive scheduling process for healthcare providers. The robust scheduling platform allows staff to close shifts quickly and reduces additional incentive compensation by up to 50 percent. “Symphony comes loaded with a micro market system that allows staff to trade shifts, offer their shifts to others and accept offers to work,” said Bozorgzad. “Schedulers can even allow Symphony to automatically approve transactions that are consistent with pre-defined business rules.” This automation provides extra capacity for schedulers so they can focus on issues requiring human intervention. The intelligent scheduling software comes packed with an automated time and attendance tracking feature powered by geo-location that integrates with the hospital’s existing payroll systems making the start and end time documentation procedures more convenient. “This tool not only increases both provider and scheduler satisfaction but also provides schedulers with ample time to concentrate on building relationships with providers,” said Rahimi, Co-Founder and Chief Scientific Officer of Potentia Analytics. Symphony also delivers powerful analytic reporting with a customizable drag-and-drop feature providing endless report configuration and complete control. To support system-wide transparency, the reports can be accessed by authorized users and exported to various formats. Efficient patient flow is the key factor to drive growth, facilitate revenue, and most importantly, increase quality and reduce risk. Failing to provide the right care at the right time can put an organization’s operational proficiency at risk. Potentia Analytics’ addition to its armor, Bernoulli, is an advanced tool that optimizes patient flow through the Emergency Department. Bernoulli draws on stochastic flow diagram, queuing theory, and Poisson distributions to simulate and advance patient flow. It resembles a radar framework that discovers inefficient aspects of resource utilization and prescribes restorative activities to improve work processes. The tool ensures efficient use of resources by minimizing wait time, Length of Stay, and Left Without Being Seen/Left Before Treatment Complete. “Through sophisticated modeling and machine learning techniques, Bernoulli models, simulates and optimizes patient flow through the emergency department, minimizing overall cost and maximizing resource utilization, [as well as] reducing lost revenue from patients who leave the care facility without being seen,” said Bozorgzad. The intuitive software solution provides a “what-if” simulation to run scenarios with ER staffing and patient flows by providing an immediate result. Bernoulli comes equipped with a customized flow modeling feature that allows users to track patient movement through the ER with the prediction of key metrics. Bernoulli’s robust and adaptable architecture can model simple single provider or sophisticated multi-track ERs – including all resources and stations. Bernoulli’s real-time analysis enables healthcare facilities to consolidate patient time and acuity data from their EMR for continuous, up-to-date reporting of interdepartmental system performance. The software’s predictive modeling improves workflow management by identifying bottlenecks and redundancies in the system. It then provides real-time staffing recommendations allowing authorities to manage changes in the acuity and flow. “Bernoulli runs in the background and acts as an operational efficiency consultant – always on, always available, always making evidence-based recommendations,” said Bozorgzad. The tool’s simulation capability allows healthcare executives to answer tough questions about any current or future change in their system. For instance, when a leading hospital was facing challenges in managing the flow of patients in conjunction with their staff’s schedule, Potentia Analytics’ Bernoulli was implemented. Bernoulli modeled the processes of the emergency department and provided real-time simulators. It then evaluated the process by using the simulator and recommended optimal shift start and end times for staff scheduling to minimize the events of delay. This balanced the resource capacity issues with upcoming patient flow bottlenecks in the emergency department. Upon employing Bernoulli, the hospital was able to save time and increase its capacity by 20,000 hours within a year. The hospital was able to use its resources to maximum capacity and made a significant cost saving. 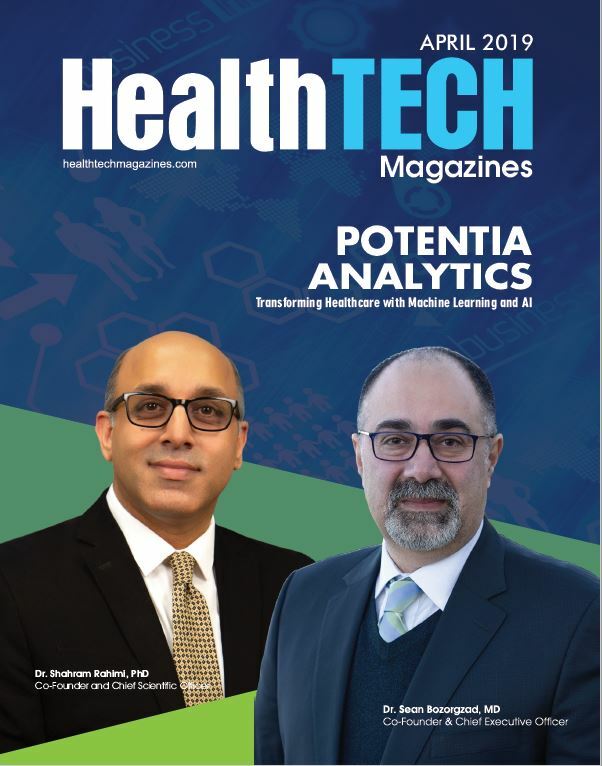 Potentia Analytics’ strong background in data science enables them to harness machine learning and AI to drive efficiency in the healthcare sector as a key differentiating element – ultimately improving patient care. The company is fueled by a team of ambitious data scientists and engineers who employ innovative techniques; developing solutions with features that are a rare find even in today’s tech world. With elegant UI and a user-friendly design, these features automate the labor-intensive processes used by leading subject matter experts in the world of lean process automation. 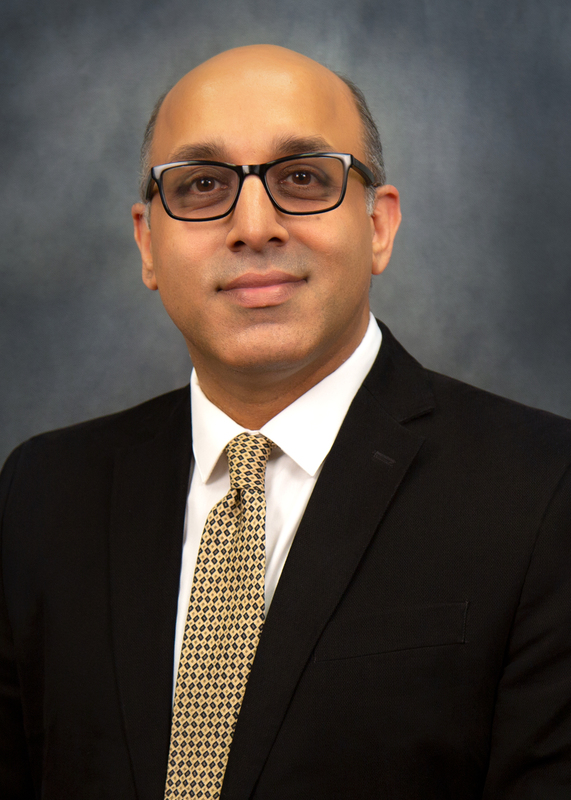 “Technology will play an important role in the transformation of healthcare, and we consider ourselves privileged to be a part of that journey,” said Rahimi. He believes that the exceptional team of Potentia Analytics is what drives the company to success. Potentia Analytics’ integrity towards its customers and team contributes to the success of the company. The company’s dedication to serving its customers and the obsession to always surpass their expectations has set Potentia Analytics as a leading provider of workforce and workflow process automation solutions in the healthcare industry. “We believe that trust is earned by concentrating on customers’ needs and continuously delivering excellent service,” said Rahimi. Potentia Analytics’ accomplishes its objective by partnering with their client subject matter experts and supporting their efforts in optimizing healthcare’s most expensive asset – the human resource. Integrating and automating their processes using data science enhances their ability to accurately predict changes to flow and optimal staffing levels. Accessibility of granular data has provided Potentia Analytics an inconceivable understanding of operations and provided an extraordinary opportunity to improve the healthcare sector. As of now, the group at Potentia Analytics is clearing the decks to launch a compelling version of their automatic scheduling system that connects with their patient flow optimization solution. The tool will provide a continual flow of data analysis and communication between staff scheduling and flow optimization outcomes; ultimately improving the care provider’s environment and increased improvement in the patient journey. In terms of investment, the company plans to increase its sales and marketing capabilities and amplify its product suite to improve healthcare and reduce redundancies.